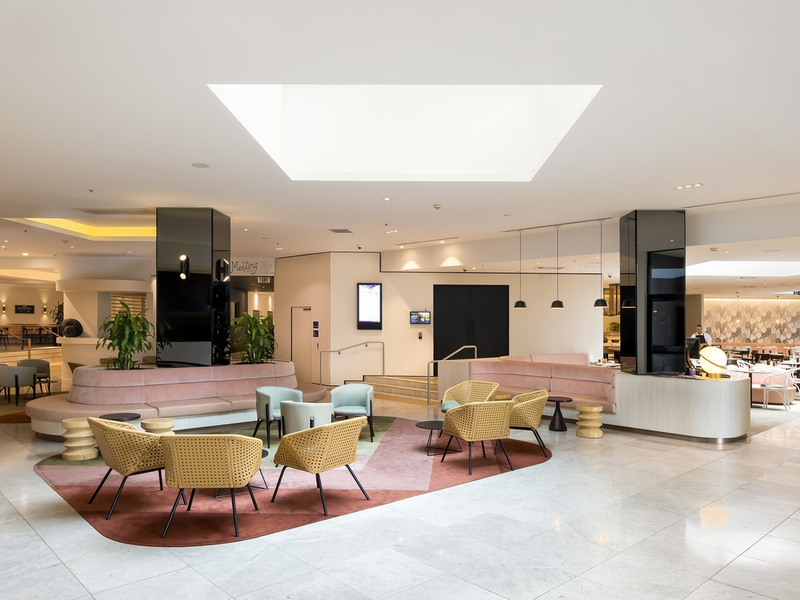 Located just 1 km from Sydney Airport, Novotel Sydney International Airport offers vibrant and stylish facilities for business and leisure travellers. Overlooking Cahill Parklands and Kogarah Golf Course, enjoy our unique location away from the direct flying route. With a vision of 'making everyday moments matter', we are equipped with a range of facilities to ensure our guest's enjoyment including 2 restaurant and bar outlets, 11 event spaces and a range of nearby activities. As a Sydney Airport hotel, Novotel Sydney International Airport offers access to both terminals. With its proximity to Wolli Creek station, it also provides access to Sydney city by train in 15 minutes, from where guests can explore the best of Sydney. Warm and inviting, experience Seasons Cafe, Restaurant & Bar featuring botanical touches and dusty pink accents. Specialising in a paddock to plate menu inspired by local producers, we offer a long brunch which transitions into evening. For guests who wants to enjoy a drink or two, The Bradley's awaits. Here you will find comfortable lounge seats that feel cosy as home. If you like sport, the large screens and Fox Sports is your alternative to being in the stadium. Infriade förväntningarna från flera tidigare tillfällen när jag bott på hotellet. Mycket fräscht och trevligt. Sköna sängar. Bra service i receptionen. Bra frukost fast det saknades ost i buffén. Jag fick be om detta extra varje morgon. Plus att det var väldigt kallt i frukost rummet. Jag fick ha tröja på mig.